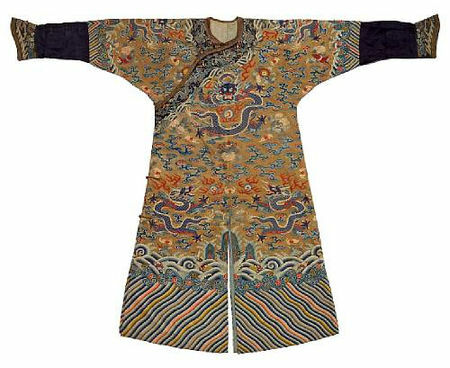 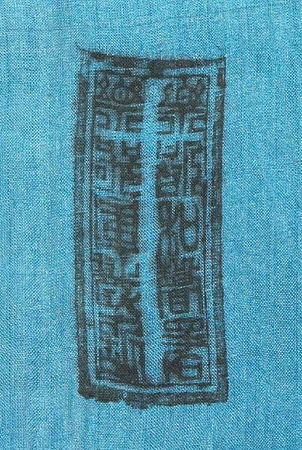 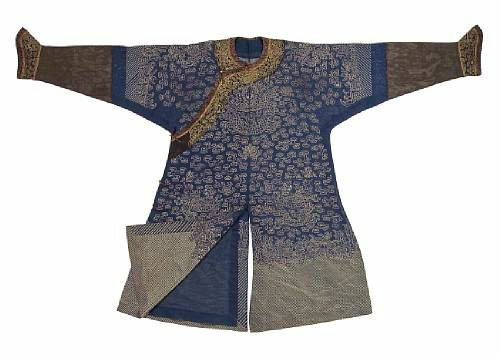 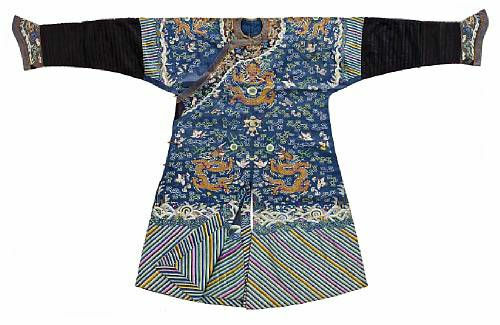 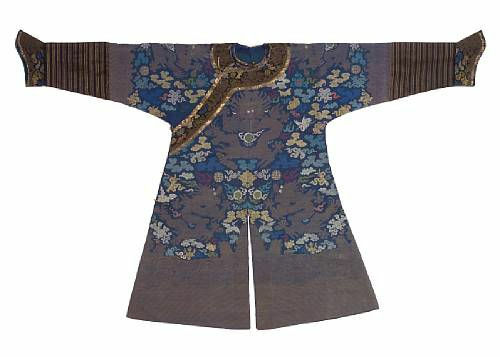 Footnote: For a practically identical robe with the same seal in the collection of Linda Wrigglesworth, identified for use by a seventh to ninth rank civil official, see G. Dickinson and L. Wrigglesworth, Imperial Wardrobe (Berkeley and Hong Kong, 2000), pp. 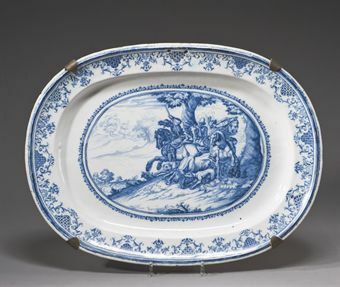 165 and 167. 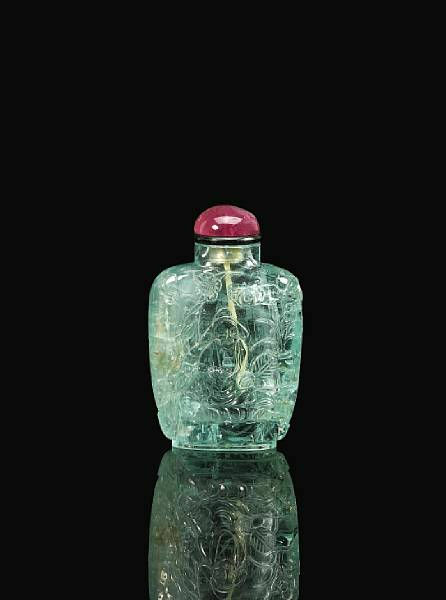 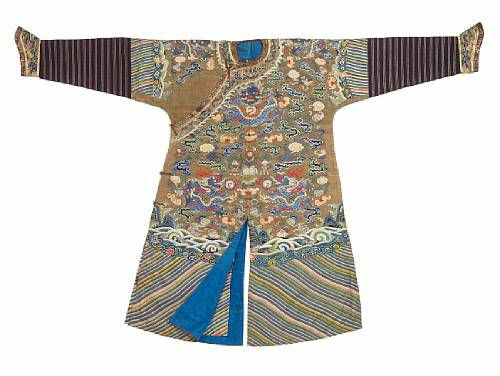 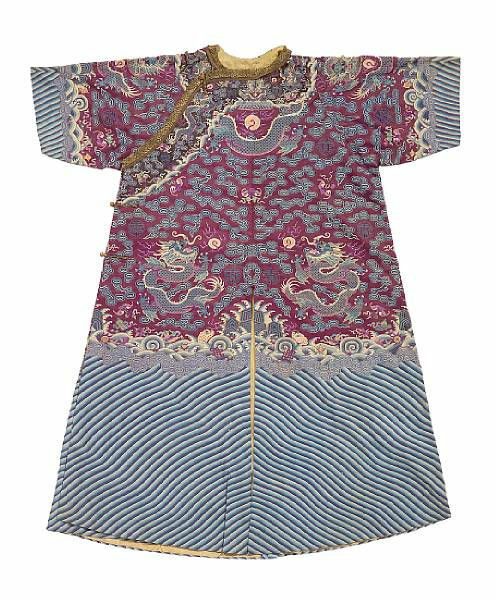 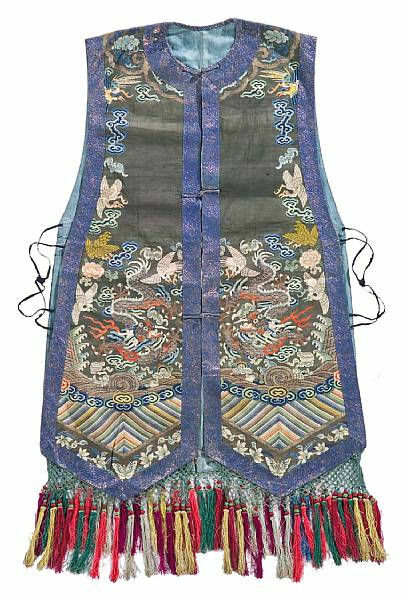 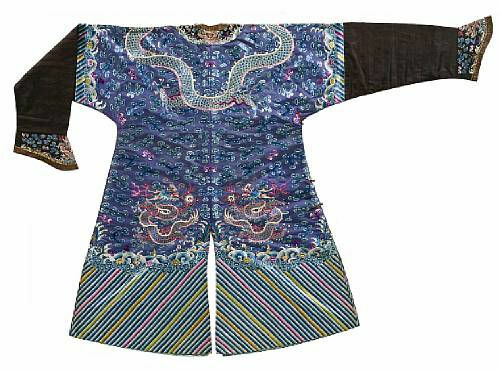 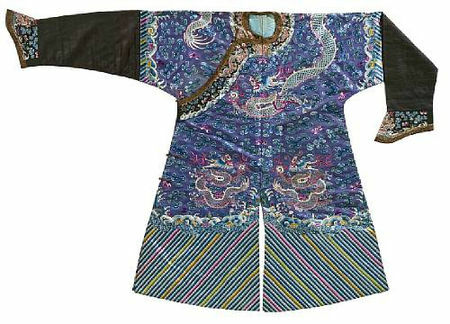 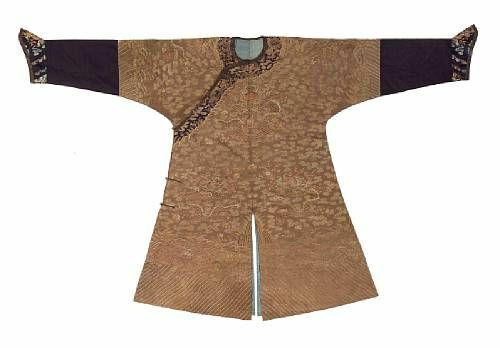 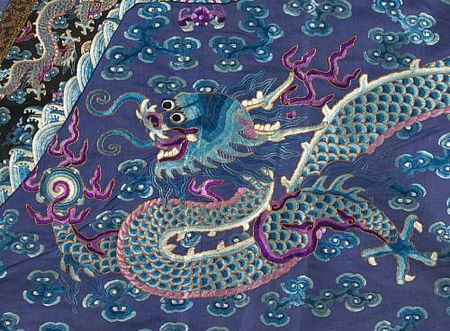 The Wrigglesworth robe was also offered and discussed in Christie's New York sale, The Imperial Wardrobe, 19 March 2008, lot 35.